Do you like your vegetables deep-fried or steamed? If you think about it, all three are the same. You’re eating vegetables—nothing could be healthier than that, right? On the contrary, there is a vast difference in these two cooking methods. In your cooking classes, you were probably taught how to do a variety of cooking methods yourself. But have you been taught that each cooking method has as much effect on your pH balance as the ingredients that you put in every recipe? First, consider the cooking ingredients you put in every meal before you even start cooking. Red meat—goat, lamb, pork, turkey and beef—are all acid-forming food substances, more so when they are cooked. Staying away from them is an ambitious feat, which is why having a balanced meal is recommended every time. By having a healthy combination of meat and vegetables, your body’s pH balance is ideally maintained. 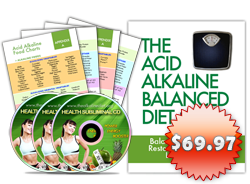 Unfortunately, the ideal maintenance of your body’s pH balance rarely happens anyway. The sweeteners and other seasonings like NutraSweet and Sucralose are packed with acid-forming substances. Add to condiments like ketchup and mayonnaise, two of many acidic sauces. Seasonings like cinnamon, ginger and herbs are perfect to make room for alkalizing. 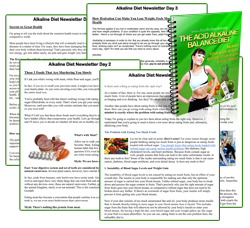 Experiment with these three and you are bound to come up with exciting and naturally alkalizing food recipes. In deep frying, you literally submerge food in oil or fat as it is heated in a deep fryer or cooking pan. Over the years, you must have been taught that nothing is wrong with this method. In fact, many scrumptious dishes are done by deep frying. However, in the department of pH balance, deep frying can be particularly dangerous. For one, fats and oils are among the most acidic food substances. This includes corn oil, vegetable oil, sunflower oil, hydrogenated oil, margarine and saturated fats. If you read carefully, then you probably noticed that all of the mentioned are popular choices in deep frying. Aside from the fact that fats and oils are generally frowned upon for their acidic effects on the body, heating is no better. High temperature cooking methods such as deep frying chemically alters the food—as it fries the food to become edible, it also chemically alters its content, makes it more acidic, and strips away its nutritional content. Imagine red meat, an already acidic food type, become more acidic because of deep frying. Vegetables that undergo high temperature cooking methods are no less saved from this grim reality. In deep frying, its alkalizing properties are stripped away and its invaluable nutrients are either absorbed by the oil or evaporate with the heat. Deep frying is only one of those high temperature cooking techniques. There’s also broiling, frying, and microwave cooking to watch out for. 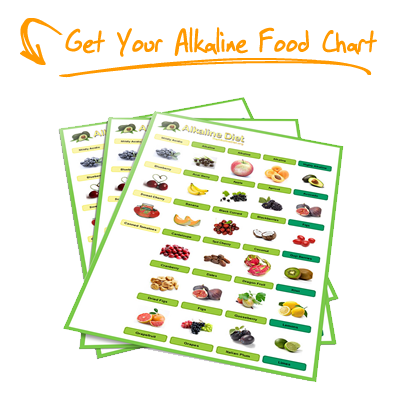 Just as there are cooking methods that cause pH imbalances in the body, there are also methods that are safe and alkalizing. Cooking food by slow and indirect heat will do little to chemically alter the food and save its alkalizing content. These methods include crock pot, steaming, low heat baking, boiling, simmering, and roasting. Because these methods allow food to be cooked in low heat, the nutrients in vegetables and white meat will not evaporate and will safely stay until it your hungry stomach digests it. These methods are especially effective if you try to cook an all-vegetable diet. Avoiding oil when following these cooking methods is also a healthy option. Not only does it lessen the acid-forming substances in your diet, it also stops the food from being overcooked. If oil is absolutely necessary in a meal though, you can use alkalizing fats and oils instead: olive oil, evening primrose, flax, hemp and coconut oil. This way, you get to enjoy your meal without compromising your pH balance.